Note: These Documents are not stored online and therefore must be downloaded and saved on your computer. An email will also be sent to you with a link to download these Documents. If you are creating 'Project Documents', please ensure the Project Name is spelled and inserted correctly as it is watermarked on each page of the Document for copywrite purposes and thus cannot be amended at a later stage. No refunds are available in the event that the Project Name is entered incorrectly. Project Name must be 8 characters or more with only alphanumeric characters (i.e. no special characters) ** Only applicable to purchasing 'Project' Documents. Both 'Project' and 'Reference' Documents are available for purchase and download. Click here to read more about Project vs Reference Documents. Press the CTRL button and at the same time click on the multiple items you want to purchase below, then click the 'Purchase New Document' button below. This system provides added value document productivity enhancing facilities in order to save time. 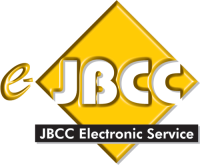 The major productivity facility, is that Users are able to capture information regarding a new Project once and then it is stored and automatically inserted into any document of choice, be it PROCSA, JBCC, Health & Safety etc. © Contracts on Demand 2019.